So professional and easy to work with. Kept me informed throughout the process. Would highly recommend. Fence looks amazing and complements my house perfectly! Elite fencing is amazing! Highly recommend. The crew did a fantastic job helping us pick out the perfect fence and we are satisfied with the high quality of product and service. The staff is very professional and they have knowledge. Don't go anywhere else for your fencing needs! An absolute incredible job done by this company. Fence was up in a couple of days and it's perfect. I will definitely recommend them to everyone looking to get a fence. As a family owned and operated local fence company, we have served communities for the past two decades with top quality fence installation and superior fencing products. Setting up and installing a fence might sound easy, but may be best left to expert fencing professionals and fencing installers. Choosing the right fencing contractor is critical and means the difference between a fence that will need to be repaired or replaced in a year, to one that will last for years to come. 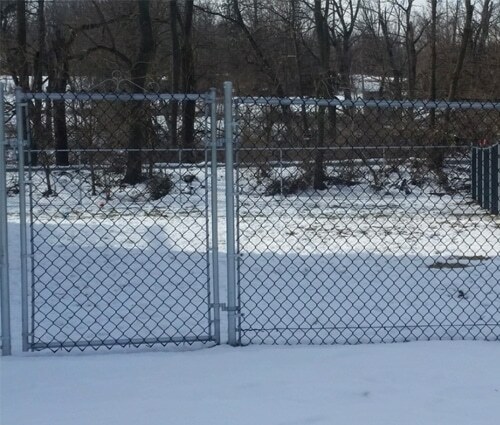 Proudly providing the Greater Lehigh Valley area with quality fencing installations. 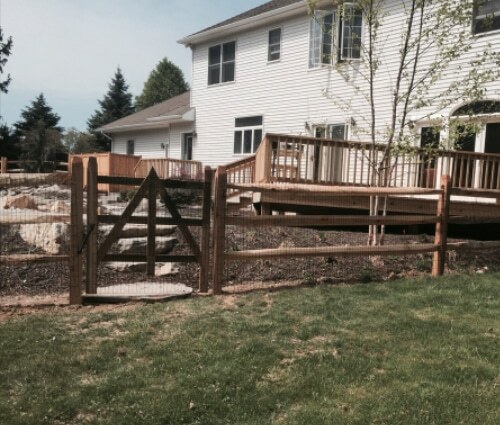 With each fence installation, we strive to achieve perfection for the best results every time. 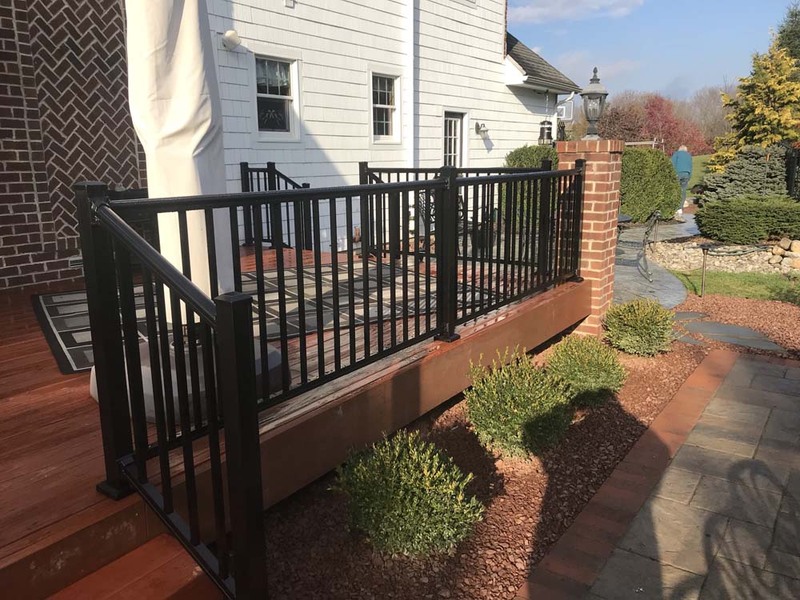 And because we’ve got an experienced team who utilize some of the best fencing materials on the market, we guarantee your complete satisfaction of a long lasting, durable fence. And just like we stand behind our work, our customers have stood behind us time and time again. Because of our loyal patrons feel we are the best fencing company, we feel that way, too! Read first-hand experiences of their fence installation and product satisfaction below. We live in the Kutztown area and were looking for a family based fencing company to install vinyl fencing. We found all of that and more with Elite Fencing Concepts! They were professional and personable from the very first call. They offer excellent workmanship and quality products at reasonable prices and they completed the job in a timely manner. I highly recommend them for all of your fencing needs! We love it and get so many compliments on it. We appreciated all you did for us. I will always recommend you to anyone. Workmanship, Awesome!!! Quality, Awesome!!! Customer relations, Awesome!!! Fantastic service and excellent workmanship! Job was done in a timely fashion and the end result was amazing. They are the best in the area by far, you will not be sorry. With the tornado that went through last week, their fences stood the test. 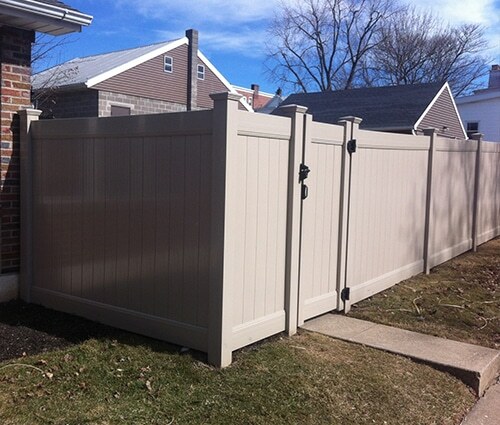 We had Elite Fencing Concepts install our vinyl fence. They did an excellent job, from the first phone call, to the estimate and ordering of the fencing and the gate, to the installation. Would definitely recommend them. Friendly and courtesy. We recently bought a fence from Elite Fencing and I am thrilled with the quality of the fence and the service we received from them. We continually get compliments from our neighbors saying how beautiful our fence is. Within the last week, we encountered a severe storm and had trees split in half but no damage to our fence. I highly recommend Elite fencing to anyone looking for a reasonably priced, beautiful and high quality fence. You will not be disappointed. Thank you for sending someone right out to realign the gate! I am sure I probably could have done it myself so it is very appreciated. You care that much about your customers that you did that! Thank you Elite for being professional during what ended up being a crappy situation. Thanks to Lowes, what should have been a 3 day fencing project took just under a year. Thank you to everyone at Elite for being understanding and helpful through the whole situation. Lesson learned! DO NOT USE LOWES AS A CONTRACTOR, go direct to Elite for your fencing needs!! Elite did such a wonderful job assisting us with our fencing needs. They went above and beyond for us from scoping out my property lines with a metal detector for hours to installing in sections as needed when my pavers were being installed in phases. 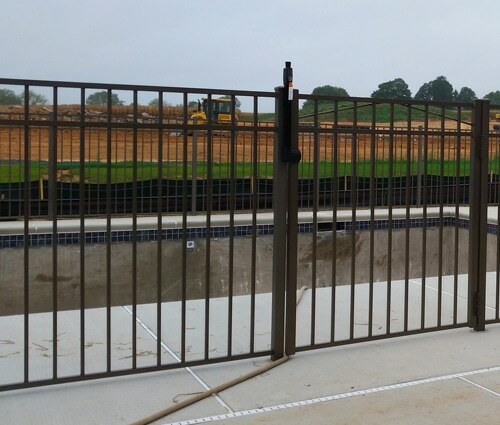 The bronze jerith fence looks fantastic. Thank you so much for everything! Had a wonderful experience with this company! The fence looks amazing, the installation was VERY fast, and the installers were fantastic and professional! Would highly recommend! I absolutely love the fence installed by Jeremy and Elite Fencing Concepts. The fence provides the privacy my family was looking for and really adds beauty to my backyard. Great workmanship and courteous service. Can recommend with confidence!